A host of styles and sizes. Revitalise your mind, body and soul with an exhilarating shower. Our feature-packed designs deliver a range of sensations, so you can have the shower of your dreams. 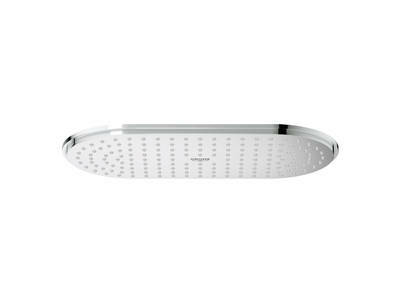 From the modern stepped design of Rainshower® Cosmopolitan to the classic styling of Rainshower® Rustic, the GROHE Rainshower® collection comes in a host of styles and sizes. 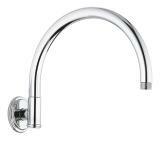 All models feature GROHE DreamSpray® technology for balanced water distribution to every nozzle, while GROHE StarLight® chrome and SpeedClean nozzles ensure a lifetime of perfect looks. For a voluminous rain spray delivered direct to your bathroom, our breathtaking Head shower Jumbo is a must. 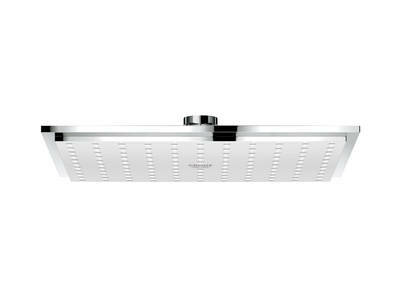 Make a statement with the 400 mm wide overhead shower – it features 252 tiny nozzles. Impressive, isn’t it. Measuring a generous 400 mm diameter and with 256 individual jets – each one designed for the perfect delivery of our Rain spray pattern. 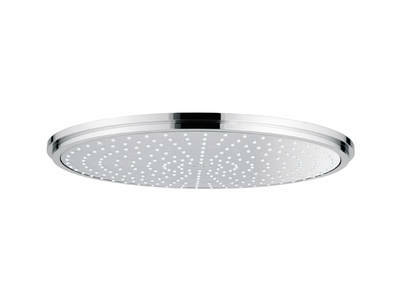 Like all Rainshower® head showers, the Rainshower® Jumbo can be wall or ceiling mounted. And if you’re searching for something less dramatic, but none the less impressive, the collection also includes several other designs and sizes. Inovatīvi augstas kvalitātes smidzinātāji greznai spēku atjaunošanai un labsajūtai.